August 21, 2017 – (Manchester, New Hampshire) On Thursday, September 21, more than 800 people will fill the Palace Theatre in Manchester, New Hampshire for a special public performance of Suitcase Stories LIVE! 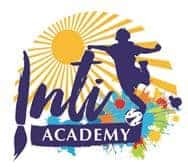 The event, beginning at 7:00PM, is co-sponsored by the International Institute of New England (IINE), Inti Academy, and MassMouth and features six foreign- and U.S.-born tellers seeking to connect cultures through their poignant, personal live stories. Virginia Prescott, host of New Hampshire Public Radio’s (NHPR’s) Word of Mouth, will emcee the event. While this is IINE’s first performance of Suitcase Stories LIVE! in Manchester, it is the sixth event of the traveling performance series, which in total has raised close to $60,000 and drawn in a crowd of more than 700 attendees. Additionally, the performances have raised critical funds to support the resettlement and case management services the International Institute of New England provides to newly arrived refugee families. Storytellers change at each production. For example, the Manchester show will feature six storytellers, including IINE’s Manchester Community Relations Director, Amadou Hamady, who feels his story will bring significant attention to the local refugee and immigrant populations in a positive and celebratory way. Proceeds from the Suitcase Stories LIVE! series benefit IINE’s programs in New Hampshire and throughout New England, where IINE provides refugee resettlement, English language instruction, workforce training, and citizenship services. The event is open to the public, and a wide range of tickets are still available. General admission is $19. Special $100 tickets are available for a post-show reception for those who want to meet the storytellers and make an even greater impact with their financial contribution. To learn more, purchase tickets, or sponsor the event go to: https://iine.org/suitcase. The mission of The International Institute of New England is to invest in the future of our cities and towns by preparing refugees and immigrants for participation in the social, economic and political richness of American life through active citizenship. Each year IINE serves nearly 2,000 refugees and immigrants across our three sites in Boston and Lowell, Massachusetts, and Manchester, New Hampshire. Massmouth is a non-profit organization that promotes the timeless art of storytelling in Massachusetts. 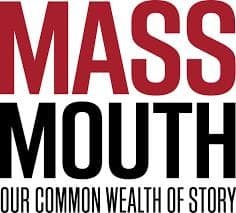 Since its founding in 2009, Massmouth has hosted a variety of competitive and non-competitive events throughout the Greater Boston area, including its Stories from the Stage series at WGBH studios. Virginia Prescott is the Gracie Award-winning host of NHPR’s Word of Mouth Radio Program, the Writers on a New England Stage series and the Civics 101 and 10-Minute Writer’s Workshoppodcasts. Word of Mouth is a weekly magazine-style show that digs into the nooks and crannies of New Hampshire to uncover the stories, places and people that make the state home. Prior to joining NHPR, Virginia was an editor, producer and director for NPR’s On Point and Here & Nowprograms, and directed interactive media for WNYC in New York. Throughout her radio career, she’s helped build independent radio stations throughout the developing world, and trained journalists in post-conflict zones from Sierra Leone to the Balkans. Her commitment to the power of sound and storytelling led her to create audio installations in Houston; Watertown, Massachusetts; and at MIT. She was awarded a Loeb Fellowship at Harvard University and was a member of the Peabody Award-winning production team for Jazz from Lincoln Center with Ed Bradley. She is the recipient of a Gracie Award for Outstanding Host and loves working in radio, but regrets that so many good outfits go unnoticed.